Being not reachable is the thing of the past now. Never miss any call or text when your travelling abroad. Stay connected with your loved ones through your local phone number even if you travel abroad. Yes its true! you can use your local phone number without paying any extra roaming charges and with unlimited text messages throughout your journey and stay abroad. The exciting and an incredible iPhone application gives freedom to use your local phone number without any local plan when you travel out of your country. Nomadphone LLC presents a mobile application namely Nomadphone which is an application that allows the local phone number user to use the same number even if he travels abroad or stay in as an expat in other country. Nomadphone is a first of its kind and is being used by millions of users across globe using Canadian or US phone numbers. You can receive calls without paying any sort of roaming incoming or outgoing and provides an unlimited text messages. It works on Wi-Fi as well as data internet with high quality clarity in voice calls. It also provides an option of video calling which is an advancement over the ordinary local phone number as the video calls must be free. Its a smart phone application free to download from play store only for iOS operating devices. It does not work for android market. If you have an iPhone you can download and use this application and enjoy the exciting and amazing benefits which it offers. Once you finished download you need to open the application and register your number. There is 7 days free trail period and after the expiration of that period you will have to pay a nominal fee as less than $10 per month. If you don’t wanted to continue the subscription you can cancel it by following 3 simple steps on the apps setting. And if you unsubscribed within trail period, no charges will be deducted. Once the registration is complete you will get an sms on your phone to verify your number. After the verification you can use the calling and text options of the application. The application is being constantly reviewed and updated with new and modified changes. New features are been added since its introduction based on the users feedback and other technological research of the application. It is a user friendly application which is easy to use. It gives you an option to choose a new number. If you don’t have a phone number you can choose a phone number using this application, as it has this feature to create a new number in a matter of minutes time. 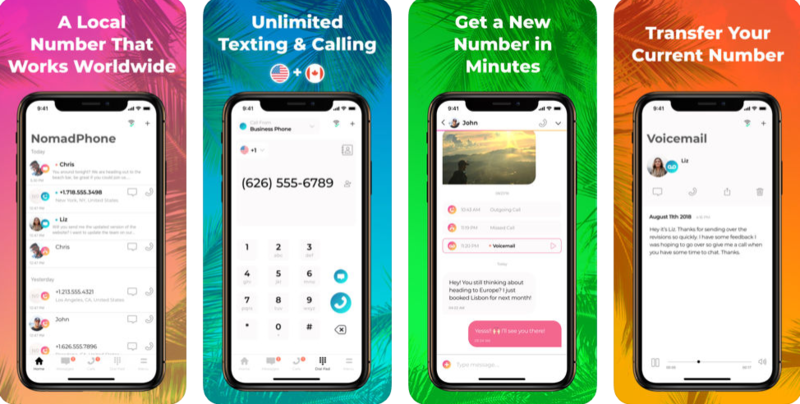 The fast and easy way to get a phone number connection really puts this application out of crowd and there seems no parallel to it. You can create and use it as a second number. Either you can register your existing number with the app or else you can create a whole new number through this application.